Find a vacation home to rent in San Giovanni a Piro from our list of vacation rental properties. Campaya has over 7 vacation homes available in San Giovanni a Piro, which give you the possibility to locate a unique accommodation in San Giovanni a Piro which completes your check-list in search for the perfect self catering vacation apartments in San Giovanni a Piro or vacation villas in San Giovanni a Piro. 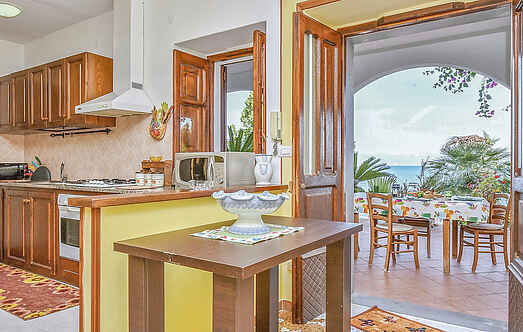 This pleasant holiday apartment in the small seaside resort Scario, at abt. 10 km from Sapri, is situated on the ground floor of a nice 2-family-house. 1st floor apartment in a marvellous villa comfortably and tastefully furnished. Magnificent mansion in the "Parco Nazionale del Cliento" with a breathtaking view of the marine park between Palinuro and Maratea. This beautiful holiday home is located approx. 1. This charming, traditional home has panoramic views that are absolutely spectacular. Holiday home immersed in the wonderful nature of National Park of Cilento, 1 km from San Giovanni a Piro.